ABOUT THE BOOKThe concept of a professional writer-as we understand it today-has existed for only about a hundred years. Sure, there were people who made money writing books and articles prior to this, but most of the time these people did not consider writing their main source of income nor their job. They considered themselves "e;artists"e; or thought of their writing as a hobby. One of … the best ways to become known as a "e;writer"e; in the United States in the 1920s and 1930s was to have your name appear on the cover of a formula western novel. Formula westerners were extremely popular during this time.Writers such as Zane Grey, Max Brand, and Earnest Haycox enjoyed this status for work that appeared in a wide variety of magazine and book publications, work that managed to find its way into the most remote corners of American life. Grey, Faust, and Haycox were well-paid too, of course, by the standards of the day, and as Christine Bold reports in her book examining the publishing history of the formula western, Selling the Wild West, Grey became "e;famous as one of the first Americans to earn $1 million by writing. "e;Grey achieved this milestone during a career that included the production of over 50 novels, nine of which became top ten best-sellers. Grey stood above the rest of the field, as both his economic success and prominent position in the American imagination indicate. However, his contemporaries and successors still attempted to put their stamp on the sub-genre and they continued to profit from its popularity.MEET THE AUTHORJeff Davis is a lifelong educator with a Ph.D. in English Studies who has taught at both the high school and university levels.EXCERPT FROM THE BOOKThe outlining and the fleshing out of the main character, the hero, became a major preoccupation of the publishers, whose instructions got so exhaustive on many occasions that it seemed the only creative detail left to the writer was the hero's name. Even this tiny bit of the content could not be left entirely to the writer's invention, however, as another portion of the letter from publisher Smith to writer Patten demonstrates: "e;It is important that the main character in the series should have a catchy name. "e;The importance of the "e;pulp"e; and "e;slick"e; magazine trade that replaced the dime novel was that they published in serial form chapters and excerpts from longer, complete works. 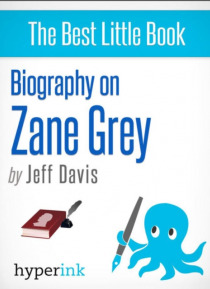 Zane Grey and his contemporaries benefited from the distribution of parts of their longer works in the magazines before the entire narrative was published as a hard back novel. In this way, publishers were able to produce a yearning for more. Although Grey was able to enjoy considerably more authorial freedom during "e;the golden age,"e; the detailed instructions glimpsed above had already hardened into a set of rules that even he had to obey to a certain degree. The formula was constructed from the very beginning to be as tightly organized as possible, perfected for easy transfer from individual to individual...Buy a copy to keep reading!